What book do you pull off the shelf when you want to bake something truly special? A simple pan of brownies so chocolatey they defy logic? A carrot cake for your beloved’s birthday (it’s her favorite)? Cookies loaded with goodies that will absolutely demolish the office cookie contest? A simple, no-frills, achingly-classic apple pie? My guess is you’ll soon be able to answer these questions with a single word: BraveTart. What Stella Parks has managed to accomplish in the 350 pages of her new cookbook is pretty remarkable. As well it should be: she says it took her five years to develop and write, and much of that time was spent finessing recipes, developing variations, clarifying technique, and looking for potential missteps and addressing them. The result is a book that appears basic at first glance, but reveals its depth as you dig into it. 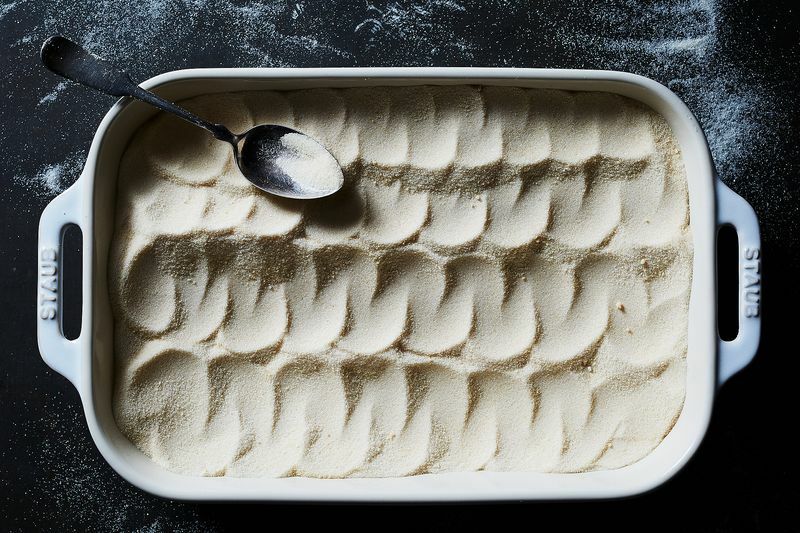 Parks is perhaps most famous for her baking column at Serious Eats, and her readers will be glad to know her taste for classic Americana is in full effect in BraveTart. But this book goes way beyond the homemade Oreos on the cover (which are delicious, by the way). Because Parks is not only teaching her readers the American baking canon, she is interpreting it, evolving it. On my first read, I merely skimmed her short histories of foods like chocolate chip cookies, fudge, and, yes, Oreos. I figured I could do without such window dressing; get me to the recipes! But these histories aren’t just padding. Parks is setting up her recipes with historical context. These essays establish why her snickerdoodles are made with a combination of coconut oil and butter, why it’s important that her Oreos turn “inky black” in the oven. The history of classic baked goods is the foundation of the BraveTart philosophy. Using pudding as an example, she explains: “There’s real magic in a box of instant Jell-O, one that can’t be matched with egg yolks and butter, and you’ve got to respect your roots more than your training to admit it.” Here, “training” refers to Parks’ degreee from the Culinary Instittute of America, and her pedigree shows in the exactitude of her recipes. I dug into five recipes from BraveTart. I made her cream cheese buttercream, a custard-based conconction that I slathered over an OG Betty Crocker banana cake for a pal’s baby shower. It was, as promised, a silky smooth number, much of which could be made ahead. German chocolate triple-oatmeal cookies (a variation on Parks’ classic oatmeal cookies) utilize oatmeal flour, steel cut, and good old fashioned rolled oats for maximum oaty texture, while chopped dark chocolate and shredded coconut take them over the top. The lemon meringue pie is a creamy dream that shies away from the over-sweetness that plagues many of its kind, but the real star of this dish was Parks’ “no-stress” pie crust recipe. (Why have I been so worried about pie crust all this time, again?) Finally, her one-bowl, make ahead cinnamon rolls are a luxe, no-stress treat—that helped me win the affections of a certain toddler I was trying to impress. 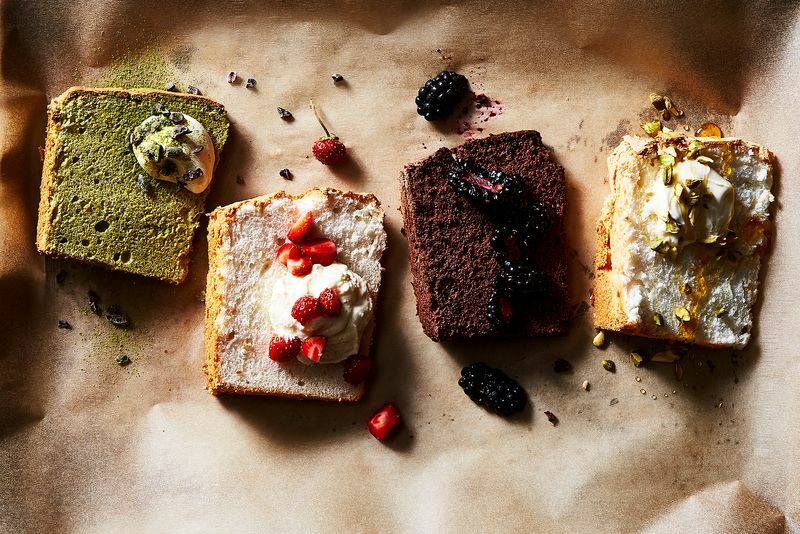 BraveTart, then, is rooted in history and boasts accurate, delicious recipes. But…so what? Pastry chefs are notorious for their attention to detail, and my shelves are full of baking books with recipes that work. In fact, I’d wager that, on average, baking books have more accurate recipes than savory cookbooks, so what makes this one stand out? Why is BraveTart my new go-to? Because joy leaps off every page of it. Those super precise baking books that are already on my shelf? Stuffy and dull, so entrenched in their perfectionism that they forget this is sugar we’re talking about. And sugar is a delight. Parks knows it: she insists on precision with her recipes, but she never forgets that sugary treats make people happy. Her giddiness is palpable, and I found each recipe I tested tumbled into the next, making me want to try every one of its variations, bake more and more and more. BraveTart made me excited to bake, and then backed up that excitement with researched recipes that work. I’m not sure there’s higher praise you can give a cookbook. This article was written by Paula Forbes from Food52 and was legally licensed through the NewsCred publisher network. Please direct all licensing questions to legal@newscred.com.